As the county seat for Troup County, LaGrange, Georgia is home to a wide range of diverse business industries and continued development. At Columbus Lift Service, we provide convenient and reliable forklift service to these advancing businesses so they may continue to grow and add value to the city. 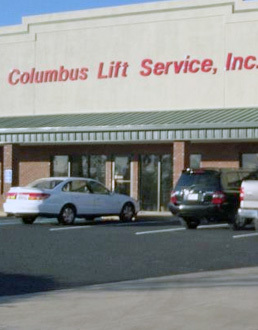 For forklift service in LaGrange, Georgia, contact a Columbus Lift Service representative today. We carry Doosan, Big Joe, Master Craft, Genie aerial equipment and Cascade attachments, as well as warehouse products. Browse our large online inventory of pre-owned pallet jacks, forklifts, equipment and attachments. © Columbus Lift Service. All rights reserved.